A leading Missouri business group is shedding light on money its opponents are spending in the 2016 election. The Missouri Chamber has a page on its website called “Money-Trail” which tracks contributions by trial lawyers and labor organizations. The Chamber’s endorsed Greitens for governor. Greitens is hardly short on contributions, having received $7 million in large donations since August, with much of it coming from the Republican Governors Association. The Missouri Association of Trial Lawyers declined to comment for this story. 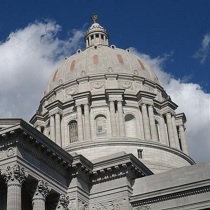 Missourinet was unable to reach state labor leaders for response. Jake Rosenfeld of Washington University in St. Louis has studied labor laws extensively. He says Right to Work in Missouri “will leave low and middle income workers more prey to management whims because they’ll find it harder to organize”. Greitens has received significant money from supporters of right to work laws. Prominent Joplin businessman David Humphreys has donated $500,000 to the Greitens campaign. The Missouri Chamber’s “Money-Trail” web page lists ten candidates who have received substantial contributions from trial lawyers. Koster leads the group with over $3 million in donations. All but one are Democrats, including Brad Bradshaw, who dropped out of the lieutenant governor race in January. The “Money-Trail” page lists ten candidates who’ve received major donations from labor organizations. All are Democrats with Koster garnering the most with over $11 million.